← China, the ICC and Libya: A New Level of Hypocrisy? Argentina has long been at the vanguard of human rights and international criminal justice. 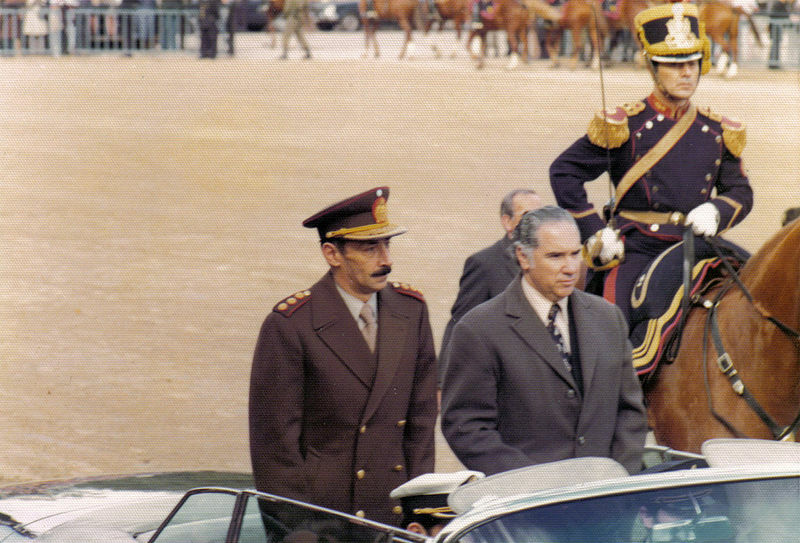 In line with their commitment to accountability, this past week Argentina began a trial against former Argentine dictators Jorge Videla and Reynaldo Bignone and six others for the kidnapping and disappearance of children during what is known as the ‘Dirty War’. In the 1970s and 1980s, hundreds of babies were taken from female political prisoners and given to the regime’s allies. The trial is the result of one Argentine who a biological parents found out the truth about his adoptive family. Predictably and understandably this important event has been lost in the shuffle as commentators have scrambled to make sense of the UN Security Council’s referral of the situation in Libya to the ICC. Following the Dirty War in the early 1980s, a period marked by abductions, torture and murder of thousands of ‘subversives’ and sympathizers, there was a strong sense in Argentina that accountability was necessary to prevent and overcome the political patterns which had previously impeded the development of peace, stability and democracy in the country. In this context, Argentine President Raul Alfonsín sought to bring key leaders of the military junta to trial, overturning a self-amnesty which the dictatorial President General Reynaldo Bignone had signed in the dying days of the junta’s power. Ellen Lutz and Kathryn Sikkink have described Argentina as having a national obsession for accountability. To make a long – and fascinating story short – Argentina created a truth commission, the National Commission on Disappeared Persons (CONADEP) which published it’s now infamous report ‘Nunca Más, ‘Never Again’. Argentina also brought legal cases against key leaders including Bignone and Videla, the latter of whom was considered the ‘architect’ of the Dirty War. On an interesting side note, the Chief Prosecutor of the ‘Trial of the Juntas’ was Julio Cesar Strassera while his assistant was current ICC chief Prosecutor Luis Moreno-Ocampo. Despite their efforts to bring accountability to Argentina, fears quickly set in amongst the population. Fear of destabilizing democracy and a return to violence soon overwhelmed the possibility of continuing prosecutions. Carlos Nino, a scholar and human rights advisor to President Alfonsín, recounted that “we were fraught with concern over what the future would bring. We all knew that no democratic government had completed its terms since…1928.” As a result of their fears, the government of Carlos Menem granted the military junta an amnesty for the crimes it had committed. One crime that the amnesty laws did not cover, however, was the kidnapping of children. Efforts to hold military officials responsible for kidnapping and unlawfully changing the identity of children was led by the Grandmothers of the Plaza de Mayo, a remarkable group which has tirelessly demanded truth about what happened to their loved ones during the Dirty War. Now, finally, after decades, the kidnapping of these children, committed by the junta leadership, will be brought to trial. 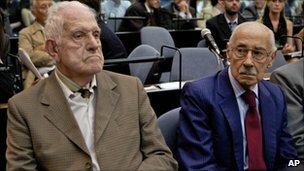 Despite the fact that both Bignone and Videla have already been sentenced for other crimes they committed during the Dirty War, the trial remains incredibly important. Most obviously and importantly, the trial is necessary for the victims and survivors who lost children and grandchildren. It is also important for Argentina as a whole and in line with this, the proceedings will be televised across the country. The trial also an important development for international justice. Human rights trials are often myopic in focus with very specific crimes and events under investigation. This is often deemed necessary to ensure that trials do not drag on for too long or get out of hand. However, in some situations this means that only a selective number of crimes are actually brought to light and adjudicated at the expense of more extensive and exhaustive justice. This is problematic because of the view that the victims of crimes benefit from the act of bringing their perpetrators to account through trials. Proponents of human rights trials argue that the acknowledgment of crime(s), the establishment of truth, and the legal retribution that occurs through a trial provide closure and catharsis for victims and survivors. But if only some crimes are adjudicated, then presumably only an incomplete level of catharsis and closure can be achieved. 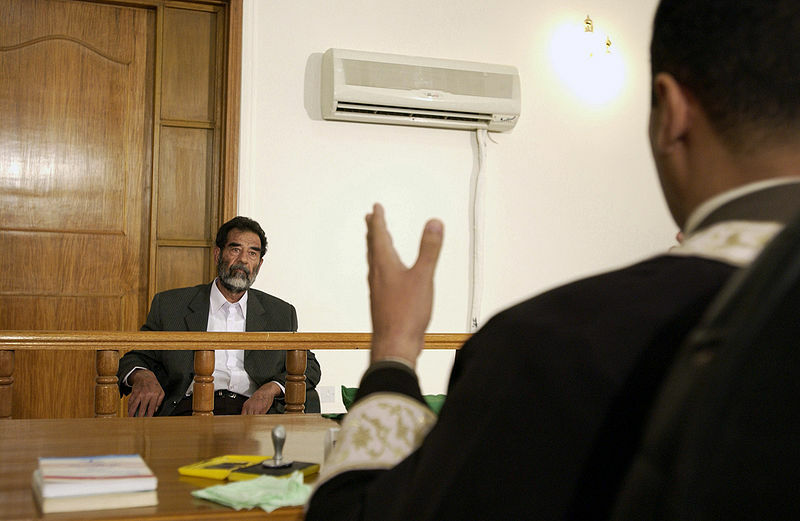 Take the example of the trial of Saddam Hussein. In 2006, Hussein was convicted and sentenced to death for crimes against humanity for the deaths of 148 Shias in Dujail in 1982. But the crimes committed under Hussein’s regime over twenty-five years were clearly more extensive than the deaths of these 148 Shias. I don’t think it is particularly controversial to say that by convicting him to death for killing 148 individuals, a more “complete” justice was denied. Some of the sharpest critics of Hussein’s trial have gone so far as to suggest this was a political decision by the US which did not want Hussein to present embarrassing and damning evidence of Iraq’s relationship with the US. That accountability for specific crimes is sought against Videla, Bignone and other Dirty War leaders is a good sign for international justice. It also, once again, illustrates the extent to which Argentina is at the vanguard of human rights and justice. This entry was posted in Amnesty, Argentina, Enforced Disappearance, Human Rights, Iraq, South America, Truth Commission. Bookmark the permalink.